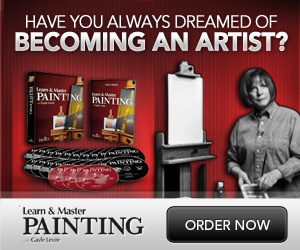 How to Make your Paintings Pop With a Complimentary Underpainting! Great lesson from artist Susan Jenkins on how to make your artwork pop with a complimentary underpainting! Visit her youtube channel for more free lessons! Visit Susan’s youtube channel here for more free videos! Great pastel painting demonstration from artist Susan Jenkins on how to keep your pastel painting loose. View more of Susan’s free video content on her YouTube channel here. Wonderful little demo by artist Marla Baggetta on painting a patterned vase in pastels. You can view more of Marla’s instructional content over on her youtube channel here. Learn how to make beautiful works of art using alcohol inks on yupo paper with this free step by step tutorial. Visit the artist’s youtube channel here. Coloring with Crayons and Baby Oil? Watch artist Alisa Burke demonstrate an interesting technique: using baby oil with crayons in a drawing. You can view more of Alisa’s videos on her youtube channel here.